Ann Hamilton is known as one of the top dog photographers in the U.S. She even did a webinar for liveBooks on the topic. But let’s not forget that she is also a very successful, innovative wedding photographer. I wanted to talk to her specifically about how she has balanced those two businesses. In uncertain economic times like these, diversification and multiple income streams are the name of the game. Ann shares some great insight into how she’s made it work for her. Miki Johnson: Tell me about how you got started in photography. My only experience with a camera was a disposable plastic one. I didn’t know what an SLR was, or what “aperture” or “shutter speed” meant. Subconsciously, though, I think I had always wanted to be an artist. And having worked in the corporate world for nearly 10 years, I was ready to start a business of my own. The article hit the newsstands in May, and the following month I interviewed with a local portrait photographer who had done a handful of weddings on the side. I had no portfolio or any knowledge of photography, but I was willing to learn and very enthusiastic. I told the photographer that I would work for free in exchange for experience. I was hired on the spot and wound up assisting all summer, getting a taste for weddings and learning about every aspect of photography. In October, I photographed my very first wedding, in Mendocino on a bluff overlooking the ocean. That was the day I fell in love with weddings. Now dog portraits also make up a significant part of my business. That became viable in 2005 when I opened a storefront studio with my colleague and friend Gene Higa. 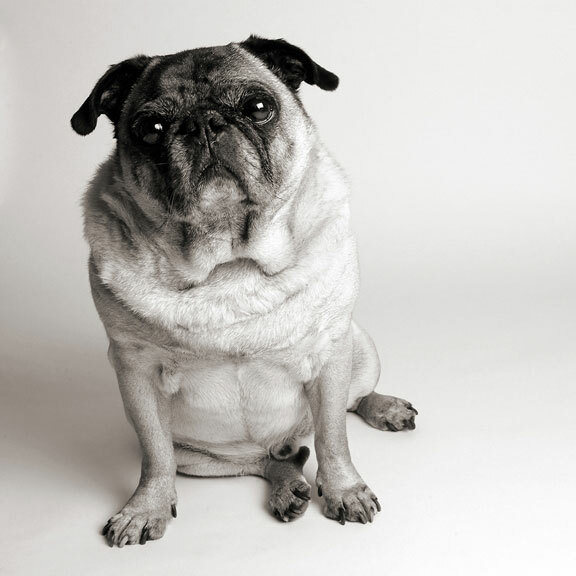 Gene encouraged me to launch my dog portrait business, and having a permanent studio to work in made that possible. 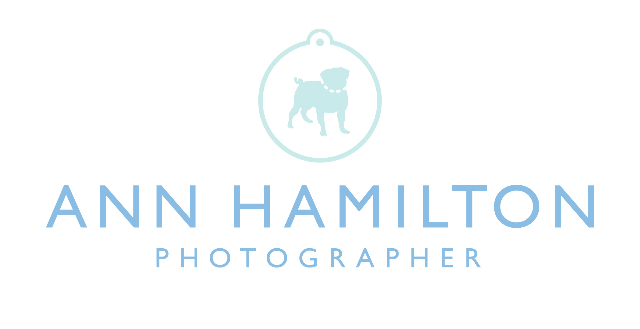 My logo of a bride walking a dog (left) was inspired by my pug, Bogie, who was the inspiration for my dog portraits and was by my side since the inception of my photography business. MJ: How were you able to parlay the skills you learned as a wedding photographer to photographing dogs? AH: I’ve always been attracted to clean lines, natural light and negative space in my wedding work. It was only natural for me to use a clean background for my dog work too. I also use a single strobe because I don’t want the images to look too artificial. I had to adapt to shooting my dog portraits in a 330-square-foot storefront studio, cutting down a 9-foot roll of seamless to 6 feet because of the small space. Having to work within certain confines also helped define my shooting style. At weddings, I crop everything in camera, so what I deliver to my clients is the full-frame image. But with dogs, because our studio space was so small, I would shoot everything wide and crop later. Now, I’m working out of a new studio space, a tri-level loft in the Dog Patch neighborhood of San Francisco. The new space has afforded me more room in which to work, with the added benefit of being able to work out of my home, with a separate entrance for my business. As my dog portrait business grew, I found I needed to define my business with two different brands. As my dog portrait business grew, I found that I needed to define the two areas of my business with two different brands. I hired the Collective Lines design firm to create a logo specifically tailored for my dog work. The result is a clever dog tag design (below). Now that my wedding and dog brands are distinct yet complementary, it is easy for my clients to cross over. Many of my wedding clients have dogs, and I end up doing dog portraits as well as shooting their wedding. And it’s not uncommon for my dog clients to inquire about my wedding photography services. Plus, having a niche has helped set me apart from other wedding photographers in the Bay Area. My dog portrait business has become an important supplemental income to my wedding photography business. Weddings are seasonal — dog portraits are year round. By diversifying, I’m able to maintain my normal wedding rates and not feel pressured to booking every weekend throughout the year. It allows me to have a greater level of flexibly and balance in my life and work. MJ: Is it a harder sell to convince people to spend significant money on dog portraits? AH: Dogs are the new “fur babies,” especially here in San Francisco where there are so many services catering to dog “parents.” Doggie acupuncture, massages, and hotels are the rage. Photography is another of those services. It’s important for me to market my business to the right client — someone who understands that a dog portrait session is a luxury item, yet someone for whom price is not the deciding factor when booking a session with me. There is value in what I’m offering and my clients understand that. The photographs are something to remember their dogs by, now and long after the dog is gone. I know this all too well as I recently lost my beloved Bogie. 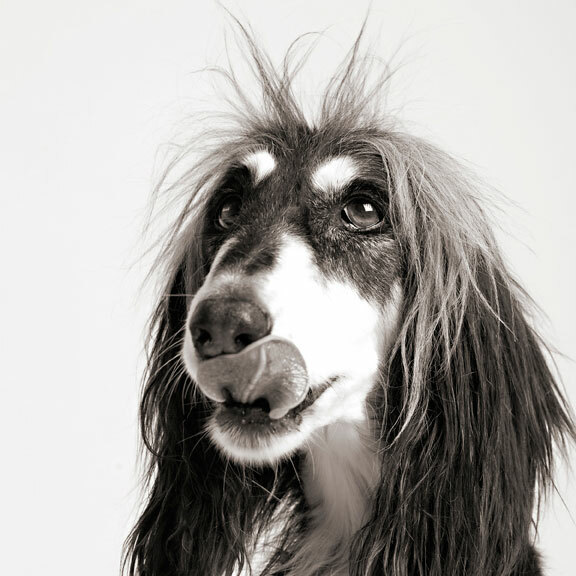 MJ: Do you have advice for photographers who are considering expanding into dog portraiture? AH: Dogs are not always easy to photograph, but I’m always up for the challenge; I never go into a shoot thinking I’m not going to get the shot. My dog clients come to me with certain expectations. They want their dog photographed just like the images they see on my website. Sometimes the dog has other ideas, though. Especially when I’m shooting a puppy or more than one dog, getting the dog to stay focused can be a challenge. It takes a lot of patience. Dogs can also sense if you are a dog person or not. You have to have really love and respect animals to do this. My advice to photographers considering dog portraits as a career is to follow your passion, work hard, and be original. Take a photography class or workshop, attend a convention like WPPI (Weddings & Portrait Photographers International), or shadow a few photographers whom you admire and absorb as much as you can. Be prepared to put some time and effort into your career. A photographer I apprenticed with when I was starting out once told me that there are no shortcuts in business. In an industry where we all have access to the same tools, it’s very easy to be influenced. The challenge is to be original. Be Part of the RESOLUTION: How are you diversifying your business? Have you added a second income stream and how has it affected your work? love those doggie portraits, esp. the 1st one. and ad agency owner friend of mine once asked me to come over and photograph her dog, but it was in her living room on the rug. not much chance for a good result there. Beyond PHENOMENAL job Vilma! I could not even imagine the pitrecus to be this great. Ever pose, moment, laugh, etc. was taken just PERFECT. I am actually trying to find the words to express the pitrecus .you did an excellent job! I wish you had taken my wedding pitrecus. I know this was your first Indian wedding..but it does not seem that way at all. Cheers to you and your future Indian weddings!